Speaking of band brands (see Pink Floyd post below), few reality-show scenarios have bothered us as much as Rock Star, which is supposed to help INXS pick a lead singer to replace the irreplaceable Michael Hutchence, who died a regrettable rock-star kind of death in 1997. And this was before the show was pegged as a summer flop, along with I Want to Be a Hilton. Granted, a lot of time has passed since Hutchence died, and yes, it must have absolutely rotted over these past few years to be one of the other members of INXS, losing a bandmate and the person who in effect branded the band all at once. 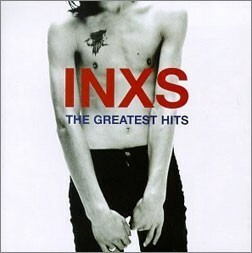 But trying to replace Hutchence via a reality show is distressingly cheesy and so beneath the credible brand that INXS built. If you still want to see the show get better, click here, where America Online will let you pretend you’re a network exec out to repair it. As for us, we wish this show a peaceful death.